Why do we love the ones we love? Some of the people we love, they loved us first. Loving them back felt natural without us ever really thinking about it. I don't remember a time when I didn't love my parents and my sister. There may be ups and down, but love is the blackboard, whatever else goes on it only chalk dust. Some of the people we love, it's through the accumulation of shared experiences and survived battles. Most of my closest friends are people I've known for decades. Those relationships have had their share of tumult, but we've come out on the other side, and now it's hard to imagine those bonds ever being broken. Some of the people we love, almost immediately they're exactly the person we needed. I met my wife when I was seven years removed from really having my feet under me, at a moment when another relationship, one that had never been quite right, was in the process of disintegrating. It took some time for me to find the courage to ask her out, but within weeks of our first date I had the ineffable something I'd been missing. I can remember a time before Adrian Beltre, so my love for him is not like the love for my family. He's never played for my favorite team, so I can't say we've ever struggled together towards a common purpose or struggled against one another as a way of measuring ourselves, so my love for him is not like the love for my wife. For any number of reasons, my love for him is not like the love for my wife. I suppose some loves are less explicable than others. Beltre made his MLB debut on June 24, 1998, not even three weeks after I graduated from high school. He was only a few months older than me, making him the first player roughly my age to reach the Major Leagues. More than 18 years later, he is still playing, one of just seven players who debuted during the 1990s and were still active in 2016. Given that he's still performing at a high level, there's good reason to think he'll be the last remaining player from the 90s, and from the 1900s as a whole as well. I didn't love Beltre for being my age though, because I wasn't even really aware of him at the time. In the summer of 1998, it took a lot more than a .215 batting average and seven home runs to grab my attention. Beltre was with the Dodgers back then, and it wasn't until his last year with the team, six whole years later, that he really made himself. That came in 2004, when Beltre went from a previous career high of 23 home runs, all the way to 48 of them, tying Mike Schmidt's record for most in a season while playing third base, and tying Gary Sheffield's Dodger Stadium record by hitting 23 of his home runs in Los Angeles' home ballpark, which has long been notorious for favoring pitchers. This wasn't whatever one might consider empty power either, as Beltre batted .334 and played tremendous defense. 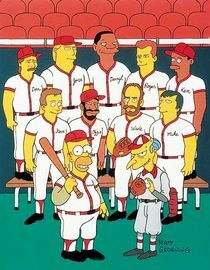 That season has an argument for being the greatest in baseball history by a third baseman. Only Barry Bonds' setting single-season records for on-base percentage and OPS prevented Beltre from winning the MVP. I was certainly impressed by Beltre that year, but I don't recall falling in love with him. He signed a big contract with the Mariners that offseason, and promptly went back to being the roughly average hitter he'd been before his one huge season at the plate. His outstanding defense meant he still had plenty of value, but having just hit 48 home runs, when he averaged barely over 20 of them during his five seasons in Seattle, he was labeled something of a disappointment. I wasn't among those who dogged him during those years, but I don't recall falling my infatuation beginning then either. After a offensively barren 2009 in Seattle, in which (at the age of 30) his OBP and context-adjusted numbers like wRC+ cratered, and he struggled to stay healthy, he signed a one-year deal with the Red Sox in order to try and rebuild some value. It worked. He led the AL in doubles, made his first All-Star team (nope, he didn't make it in 2004), and was listed somewhere on almost every AL MVP ballot, and signed the second very big contract of his career, this time with the Rangers. 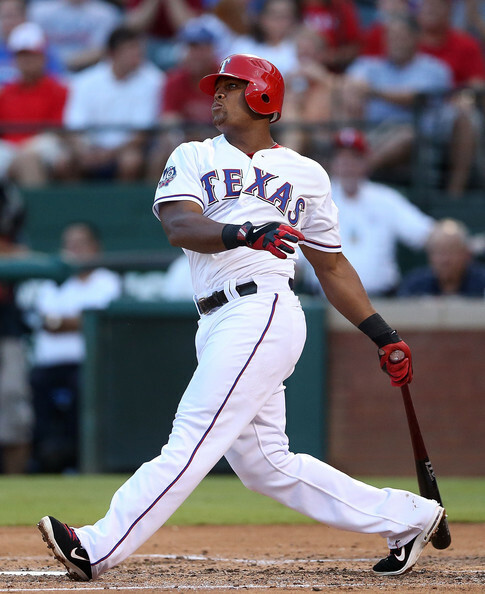 Playing well for the Red Sox is not what endeared me to Beltre though, I don't think. So I tend not to think it was his time with Los Angeles that drew me to him, I tend not to think it was his time with Seattle, and I tend not to think it was his time with Boston. Yet, as best I can recall, I've loved him for at least as long as he's been with Texas, which has been more than six years now. Somewhere along the path is a breadcrumb I've missed, the one that explains where my affection came from, and when it began. I retrace my steps, but it seems birds have removed the piece of information in question, and I'm left to wonder just when it was I came to care so much about a guy I'm not sure I've ever actually even seen play in person. My best guess is that it initially came from feeling he was underrated, and spending a lot of time making and defending his case as a Hall of Famer to be. At some point though, his counting totals reached high enough levels that many who for a longtime largely overlooked him have taken notice. I no longer feel compelled to spend so much energy on that battle though, because he's won it already, with career numbers that make him a lock. He's up 2,942 career hits, which means that unless something disastrous strikes, he'll reach 3,000 next year. He could reach 500 home run in 2018 or 2019, since he's hit 445 of them so far, along with 591 doubles. He might still be underrated though, because I think even most of those who'd support his HOF candidacy would do so under the belief that he's been a compiler, not a truly great player. He has ten different seasons with 5+ bWAR though, and the only other players during the last three decades who had that many were Barry Bonds, Roger Clemens, Randy Johnson, Greg Maddux, Albert Pujols, and Alex Rodriguez. At the risk of giving away the ending to this project, in some order or another, those are going to be the top half dozen players on my list. Putting it that way, it's possible I'm underrating Beltre. In fact, I know I am, because these ranking were made to cover 1986-2015, the first 30 seasons I was a baseball fan, but my pace at writing these entries has become so glacial that the entire 2016 season has gone by. If I included it, Beltre would be even higher than this. In addition to my early recognition of his greatness (before it became cool), I also appreciate Beltre's weirdness. Beltre hates it when people touch his head, which of course prompts teammates and opponents to go out of their way to do exactly that. (A collection of such incidents just from his one year with Boston can be found here.) He's hit a home run on a swing that dropped him to one knee more than once in his career, he playfully gets angry at his teammates about things, he goofs around on the bases between pitches, and has a number of other quirks that could rub one the wrong way in the hands of a less compelling player. With Beltre, at least for me, they're all incredibly endearing. And I guess that's what I hadn't quite been able to put my finger on about my affinity for Adrian Beltre. Like with my family, I didn't give a moment's thought to my feelings about Beltre until those feelings were strong and positive. Like I have for my friends when it was someone other than me giving them a hard time, I've stuck up for Beltre when someone else was giving him a hard time. Like those of my wife, Beltre's unique idiosyncrasies charm me. Beltre was the first player close to my age to play in the Major Leagues, and there's a good chance that when he retires he'll leave behind a league in which every player is younger than me. I would love him for that too, being the last player who could make me feel like I might still have it.